“Puppies To Love” began in 1999 because of just one puppy… “Old Yeller”. 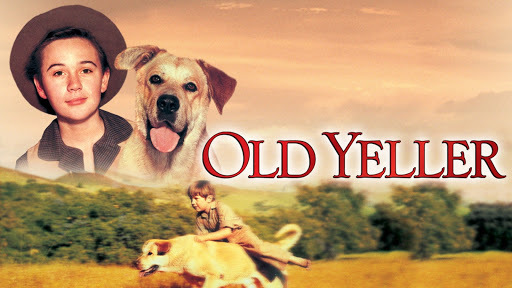 “Old Yeller” is my favorite movie and even after watching it many times, I still cry. We are Max and Joy Ferguson and have been raising puppies since 1999. We started with Goldens as a hobby but the love of different breeds has caused us to expand to include other breeds. Our kennels have lots of windows and doggy doors so all of our adults are able to go outside when ever they want. Their outside pens are all stoned. Our whelping kennel has thermostatically controlled heat lamps and three furnaces so our babies are safe and warm. Our puppies are handled and played with daily. We want all of our babies to go to loving forever homes where they will become part of the family. We are a licensed professional kennel that is AKC inspected annually. Most of all we are experienced and truly care about our “family”. Please note we do not always have all of our puppies listed, please contact us if you have questions on upcoming litters. We do require a deposit to hold a puppy and please note the deposit is nonrefundable should you change your mind.